As mentioned in an earlier post GNS3 is moving ahead fast. Currently at version 1.2.1 the GNS3 is looking great. Compared with the version 1.0 Beta 1 which I had installed, the 1.2.1 is not only more stable, but it has the Menu more clean and compact. For example now there is only one Preferences menu where you can adjust all your settings. During the installation of 1.0 Beta 1 I made some notes in Evernote and it prove to be very useful as the installation was pretty messy. With 1.2.1 I did the same thing, but the installation was very smooth. Still, I said that if I made those notes maybe I should share them for those interested in a quick installation. A more complete guide can be found on GNS3 Community. Head over to http://www.gns3.com/, create and account and download the bundle archive for Linux. The following lines will assume that you have the bundle archive. If you see some output other than an error, than you’re fine. You should see a graphical interface of GNS3 launched. If you encounter an error, please check the [Update 1] section at the bottom of this article. For the third line, the 64 represent 64bit, as my Ubuntu 14.04 is build on 64bit. Please be sure to use the correct one for your OS. You should see a Virtual PC being launched. Leave the console with letter q.
Download the correct version for your system from https://www.virtualbox.org/wiki/Linux_Downloads. The following lines will assume an Ubuntu 14.04 64bit OS. You can also use the instructions at https://www.virtualbox.org/wiki/Linux_Downloads and go for an APT installation.The choice is yours. I’m not a legal matter expert, and the usage of IOU is sort of grey area. Because of this, I’m not going to cover this chapter. in case of Cisco hardware emulators don’t forget to find the IdlePC value (when you add the IOS image or later with the start of your first router with a certain image) otherwise your CPUs will cry. If something does not work as described or you need help please let me know in Comments. Thanks to mweisel @ forum.gns3.net for this update! I must admit that I had to stop and think for a second before giving my response. R2#sh ip bgp neighbors 192.168.0.1 ? OK, I know the soft-reconfiguration inbound is not enabled, but what has this to do with the fact that the command is not showing me what routes I receive from BGP neighbor? Let’s recall what “soft-reconfiguration inbound” command actually does. 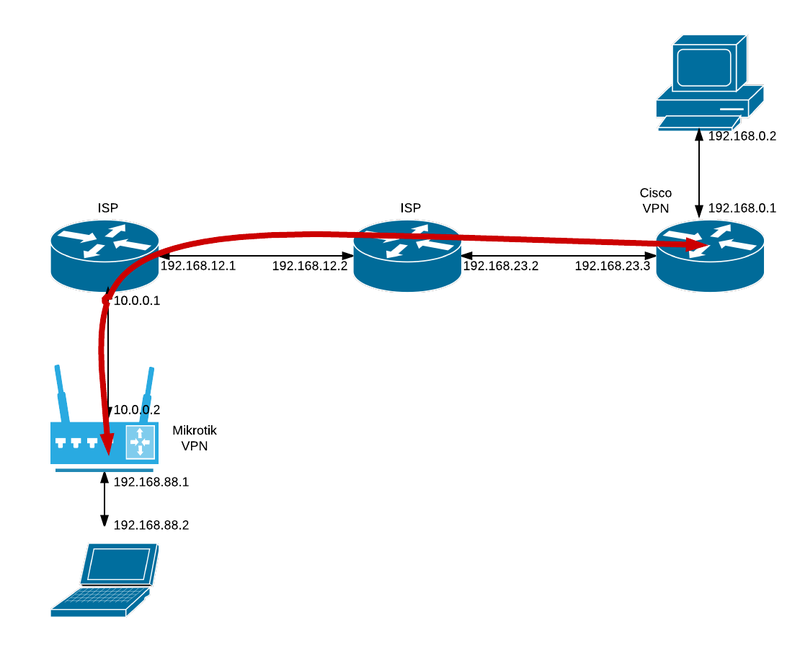 According to the above explanation, if you have an inbound policy (like a route-map) applied to a BGP neighbor and you change that policy, you need to clear the BGP session before it take effect. This is the procedure without having “soft-reconfiguration inbound” configured. I remember it like this and most of the network engineers out there remember this behavior associated with the “soft-reconfiguration inbound” command. Still, I just want to see what routes I received from BGP neighbor and according with “sh ip bgp neighbors 192.168.0.1 received-routes” description is the right command . I have no inbound policy on R2 for R1 BGP neighbor. A less remembered fact about the “soft-reconfiguration inbound” command is that when added, the router begins to store updates from the specified neighbor. These updates are unmodified by any existing inbound policies so that the router can correctly apply the new policies when soft reconfiguration is triggered. Where are these updates stored? In the BGP Adj-RIB-in (Adjacent Routing Information Base, Incoming) table. So, what the “received-routes” command does actually is looking in the BGP Adj-RIB-in table for the received routes from the BGP neighbor. I consider that the “received-routes” command has an ambiguous explanation leading to confusion. When “soft-reconfiguration inbound” is not present, the BGP router does not store anything in Adj-RIB-in. Rather it process the update and discard the Adj-RIB-in table, but not before adding the information in the Loc-RIB (Local Routing Information Base) table. Knowing these facts of course the BGP router returns an error when trying to check the received prefixes using the “received-routes” command. The output is what exists in the Loc-RIB table, after processed by the inbound policy. Let me show you an example of the above explanation. OK, so I have three prefixes, reflected in the Adj-RIB-in table. The Adj-RIB-in and Loc-RIB tables are identical. Now, I’ll apply an inbound policy that will filter the 3.3.3.3 prefix. OK, we have the “soft-reconfiguration inbound” in place, so the inbound policies should be applied automatically denying the 3.3.3.3 prefix. The above output is what we receive from BGP peer. Notice that the 3.3.3.3 prefix is still there, in the Adj-RIB-in table, as the inbound policies are not applied yet. The only visible change is the missing > sign (best). Now we can see that the inbound policy is working fine as the 3.3.3.3 prefix is not installed in the Loc-RIB table. This is also the explanation why the > (best) sign was missing from the 3.3.3.3 prefix in Adj-RIB-in. I hope you understood the logic behind the confusion which these commands “received-routes” and “routes” and their explanation in IOS is creates. Please let me know in Comments if you have any questions. I was out of the game, or better not even yet had discover the networking games, when the EGP was still out there and available to be configured on the Cisco routers. Smartport macros are not more than some templates you can define on Cisco switches that will apply the same configuration on multiple ports. It’s not a subject that needs too many discussions, but it can be useful for your Cisco certification preparation or real life Cisco switch administration. A less known fact is that Cisco switches are having some predefined smartport macros, which can be really helpful. The smartport macros which you configure can be spotted with a simple “show running-config” command. This is not the case for the default smartport macros which cannot be seen in the running-config, so you may not be aware that they exist. # Enable dynamic port error recovery for link state failures. # Ensure fast access to the network when enabling the interface. # Ensure that switch devices cannot become active on the interface. To be honest I never used them like this, but they were a pretty good starting point to customize new smartport macros. If you are rather interested in the Cisco switch interface macro command, I did write a post on this topic some years ago and you can read it here.